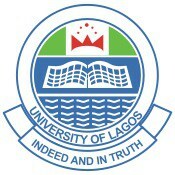 The University of Lagos, UNILAG postgraduate admission list for the 2016/2017 academic session it out and released online. The University of Lagos’ School of Postgraduate Studies (SPGS) has uploaded the admission list to the school’s PG portal for checking. All persons who applied for admission into various programmes in UNILAG are hereby implored to check their admission status online. The UNILAG postgraduate admission lists have been uploaded according to the programme of choice. Candidates who find their names have been offered provisional admission for the 2016/2017 academic session. Below are the admission lists.